1. Eligibility. This contest (the "Contest") begins on January 1, 2019 and ends on the earlier of: (i) the last day to register for the final sanctioned event listed in section 3 below, or (ii) December 31, 2019, and is open to legal U.S. residents of the 50 United States or District of Columbia, who are 18 years of age or older, and who have a valid U.S. drivers license. Employees of Dynamic Sponsorships, L.L.C., Toyota Motor Sales, U.S.A., Inc. ("TMS"), members of the TMS-supported Bassmaster Elite Series Angling Team, their agents, affiliates, or subsidiaries, as well as immediate family and household members (whether or not related) of same, are ineligible to participate. Members of the TMS-supported MLF Pro Angling Team, their agents, affiliates, or subsidiaries, as well as immediate family and household members of the same, are also ineligible to participate. Eligible contestants must possess a 2015 model year or newer Toyota Sequoia, Toyota Tundra, Toyota Tacoma, or Toyota 4Runner and said vehicle must be personally registered in the contestant’s name (as an individual or a valid business entity) either individually or jointly. 2. How to Enter. Contestants who are eligible pursuant to these Official Rules must complete an official registration form as directed by Sponsor and submit said form by regular mail, electronic mail, online registration, or fax prior to participating in any of the supported events listed hereunder. Contestants will be notified via email once their registration has been approved by Sponsor. Regular mail submissions may be sent to the address listed in section 9 below. Electronic mail submissions may be sent to [email protected] Faxed submissions may be faxed to 918-742-9628. Official registration forms must be received no later than twenty-four (24) hours prior to the sanctioned event in which the contestant is entering. All entries are the property of Sponsor and will not be returned. Sponsor is not responsible for submissions or entries, claims or notices that are lost, late, illegible, misdirected, damaged, incomplete or postage due. There is no registration fee associated with submission of the official registration form, though entry fees shall apply for the supported events. A contestant must enter at least one of the supported events listed in paragraph 3 below. Contestant must use his/her registered vehicle required in section 1 above as his/her primary tow vehicle while participating in said supported event, unless said supported event is one of the following: the Bassmaster Classic, the Bassmaster Elite Series final day weigh-in, the FLW Forrest Wood Championship, BFL Championship, the B.A.S.S. Nation National Championship, The Bass Federation, Inc. National Championship or any other supported Toyota Bonus Bucks event where official event rules preclude an angler from using his/her personal vehicle. After registering, if a contestant purchases a new eligible Toyota vehicle, and / or moves and their information has changed, they must re-register for the Toyota Bonus Bucks Contest with their new information. It is the Program participant’s responsibility to have current information registered in order to continue to be eligible for the Toyota Bonus Bucks Contest. 4. Winner Determination. If an eligible contestant competes in a supported event and is deemed by Sponsor to be either the highest placing (or for some supported events, the second highest placing; see section 5 for details) angler in said supported event in accordance with the official rules of the supported event, and the contestant has complied with these Official Rules, then the contestant will be the potential winner of the corresponding prize amount listed in section 5 below, provided that said contestant also placed within the top 50% of the entire field of participants and entire field has no less than 30 total boats in the supported event (which field may include participants who are not eligible contestants). If the supported event is a team supported event (i.e., two anglers compete as a team within the same boat), only the boater (and not the non-boater) in the winning boat will be eligible to receive the corresponding prize amount provided that said boater is an eligible contestant under these Official Rules. If the supported event is a pro-am supported event (i.e., two anglers compete as individuals within the same boat), the boater and non-boater will be eligible to receive the corresponding prize amount provided that said boater and non-boater is an eligible contestant under these Official Rules. In the event that more than one (1) eligible contestant ties for any finishing place in a supported event that would entitle all such eligible contestants to receive a prize award pursuant to section 5 below, then all such eligible contestants will be deemed winners and will share the available prize amount, which will be divided among them equally, such that individual winners will receive less than the total amount of the prize available had there not been multiple winners. Also, if an eligible contestant is selected to be one of the twenty-two (22) members of a participating state’s State Team in the B.A.S.S. Nation Program and fourteen (14) of The Bass Federation, Inc. Program, then he/she will be the potential winner of the corresponding prize amount listed in section 5 below, subject to verification of eligibility and compliance with these Official Rules. Further, if an eligible contestant is selected as the one angler to represent a participating state at the B.A.S.S. Nation Program’s National Championship and The Bass Federation, Inc. Program’s National Championship, then he/she will be the potential winner of the corresponding prize amount listed in section 5 below, subject to verification of eligibility and compliance with these Official Rules. A potential winner, if any, shall be responsible for obtaining and completing a prize claim form. Claim form will be available on the Contest website, or upon request by email, mail or fax. The claim form must be completed and submitted by said potential winner along with verification of a 2015 or newer year model Toyota Tundra, Toyota Sequoia, Toyota Tacoma, or Toyota 4Runner being registered in his/her name (copy of current truck registration and / or title) as required by these Official Rules, verification of his/her winning finish in the supported event, and verification of compliance with all other of these Official Rules, via regular mail, electronic mail or fax transmission in the manner described in section 2 above, within 30 days of the supported event at which the win occurred. Sponsor is not responsible for claim forms or supporting materials that are lost, late, illegible, misdirected, damaged, incomplete or postage due. Winners, if any, should allow a minimum of at least eight weeks for approval, processing and shipment via U.S. mail of prize amount from the date of receipt of the claim form and all supporting materials described herein. 5. Prizes. The following prize amounts will be available to be won at each supported event as listed below. Only one prize amount per listed place finish is available at each supported event, and tied winners must share prizes as further described in section 4 above. For the total number of supported events per support event type, see section 3 above. If there is no winner under these Official Rules for a particular supported event, no prize will be awarded under this Contest for that supported event. 6. General. The Contest shall be staged in compliance with, and is subject to, all federal, state and local laws. Failure of winner to comply with any of the prize claim requirements for any reason, or, the return of any prize notification or prize as undeliverable, or, the determination that the winner is ineligible to receive a prize, will result in forfeiture of the prize. Prize is not transferable. Unclaimed prizes will not be awarded. Winner is responsible for all federal, state and local taxes. Winner agrees to provide his/her social security number, and Sponsor will provide each winner a federal form 1099 for each prize valued at $600 or more. Except where prohibited, acceptance of prize by winner constitutes winner’s consent that his/her name, hometown, photograph, likeness, voice and/or biographical data may be used for advertising and promotional purposes without limitation and without additional notice, compensation or consent. By entering the Contest, each entrant agrees to be bound by these Official Rules and the decisions of the Sponsor, which are final and binding in all respects, and waives any right to claim ambiguity with regard to the mechanics of the Contest or the interpretation of the Official Rules. Sponsor shall have the absolute right to accept as final the determinations of winners and placement of contestants in supported events as announced by the organizers of the supported events, to accept the interpretation of the rules for such supported events as decided by the organizers of the supported events, and to award or not award prizes in the Contest accordingly, and contestants waive any right to compel Sponsor to challenge such determinations or interpretations or to hold Sponsor responsible for such determinations or interpretations. If winner is found to be in violation of any of these Official Rules, he/she will be required to forfeit his/her prize, or, at Sponsor’s discretion, to reimburse Sponsor for the value of the prize if such violation is found after the prize has been used. Prizes must be accepted as awarded and no substitutions are allowed. Note: Potential winners must sign an affidavit of eligibility and a waiver of liability in order to be eligible for prize receipt. In the case of a potential winner who is a minor in his/her jurisdiction of residence, such affidavit and any other required documentation must be signed on his/her behalf by his/her parent or legal guardian. By accepting a prize, winner agrees to indemnify, hold harmless and release Sponsor, its directors, employees, officers, and agents, including without limitation its advertising and promotion agencies (collectively, the "Released Entities"), from any and all liability, property loss, damage, personal injury or death arising out of or in connection with the awarding, receipt, use or misuse of the prize or participation in any prize-related activities. The Released Entities shall not have any responsibility or liability whatsoever for any property loss, damage, personal injury, or death, in connection with any person's participation in the Contest or any supported event. By participating in the Contest, contestants agree to indemnify, hold harmless and release the Released Entities from any and all liability, property loss, damage, personal injury or death arising out of or in connection with their participation in the Contest and/or supported event. In addition, by participating in the Contest, contestants agree to allow the sponsor to use his / her name and likeness for any and all promotional purposes without further permission or compensation. 7. New Vehicle Contingency Payout. In order to be eligible for a New Vehicle Payout, you must be an existing, current Toyota Bonus Bucks Program Member. The New Vehicle Payout is offered to existing Program participants who are already registered in the Toyota Bonus Bucks Program who purchase a brand new / additional (2019 or newer) Toyota vehicle. 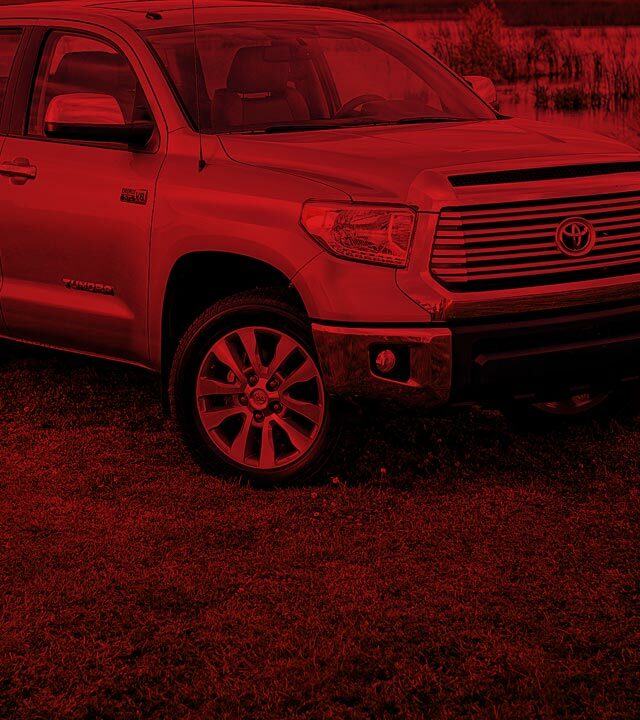 Information listed on Toyotafishing.com New Vehicle Payout Page for eligibility and requirements regarding New Vehicle Contingency Payout. New Vehicle Payout claim form must be submitted to Toyota Bonus Bucks Program Office, along with a copy of the new Toyota vehicle registration, or title, within 60-days of purchasing new Toyota vehicle in order to be eligible for the New Vehicle Payout. 10. Producer and Sponsor. The “Toyota Bonus Bucks” Contest is being produced by Dynamic Sponsorship L.L.C. located at 4860 South Lewis Avenue, Suite 100, Tulsa, Oklahoma, 74105, and is sponsored by Toyota Motor Sales, U.S.A., Inc., located at 6565 Headquarters Dr., Plano, TX 75024.